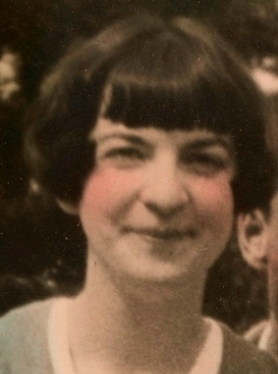 Grace Mahoney was born in Ireland in 1907 and moved to America with her family in 1910, landing in Staten Island where they lived for about 16 years. Grace moved to New York City when she was 18 years old and met Edward, whom she married a year later. In 1932 Grace and Edward moved to Buffalo, New York after her brother-in-law, a musician, was shot and killed by a mobster as he entered the subway for not paying the requisite “protection.” They lived there for four years, she became pregnant with her first child, and before long another group of mobsters moved into town. Wanting no part of that world they moved away to Metheu, Massachusetts and had another child a year later. Gr ace focused on raising her children and their house was where the whole family gathered. The Mahoney clan would head down to Boston for the St. Patrick’s Day parade, then onto Grace and Ed’s for the big after party. Easter was equally huge, with neighbors dropping by and people coming in and out throughout the day. They also had a place in Dennisport, Cape Cod where the grandkids would forage for wild blueberries and Grandma Grace would turn them into incredible pies. Grace died in 1978, leaving a legacy of 12 grandchildren with wonderful memories of her delicious food, some of which we share with you this month.